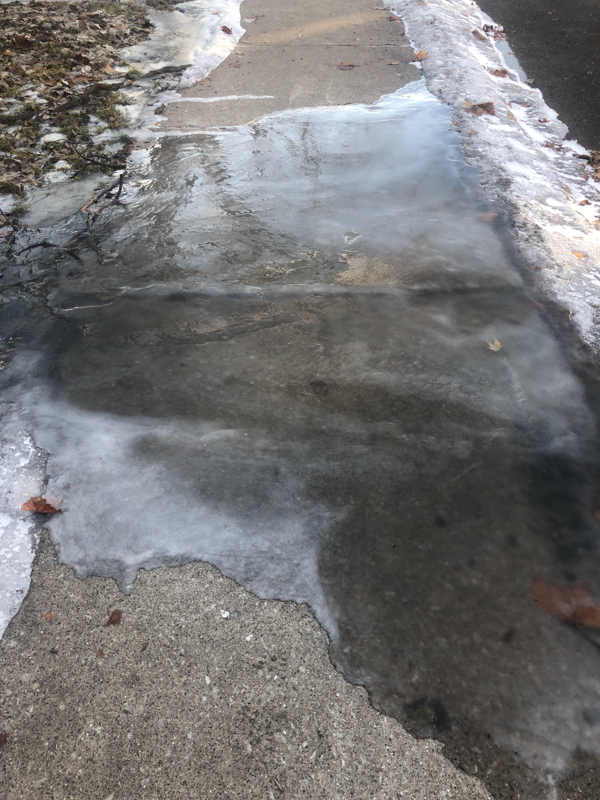 House has been seeping water out the front for months, causing massive sheets of ice to form on the sidewalk. The ice is a serious hazard. I called the water company and they did not do anything.